Time to enjoy DeGray Lake State Park. There are two cabins with one queen bedroom, queen sleeper loft and a full size futon in the living room. Ideal for small family, couple or a friend getaway. If you ever wanted to try tiny house living, now’s your chance! 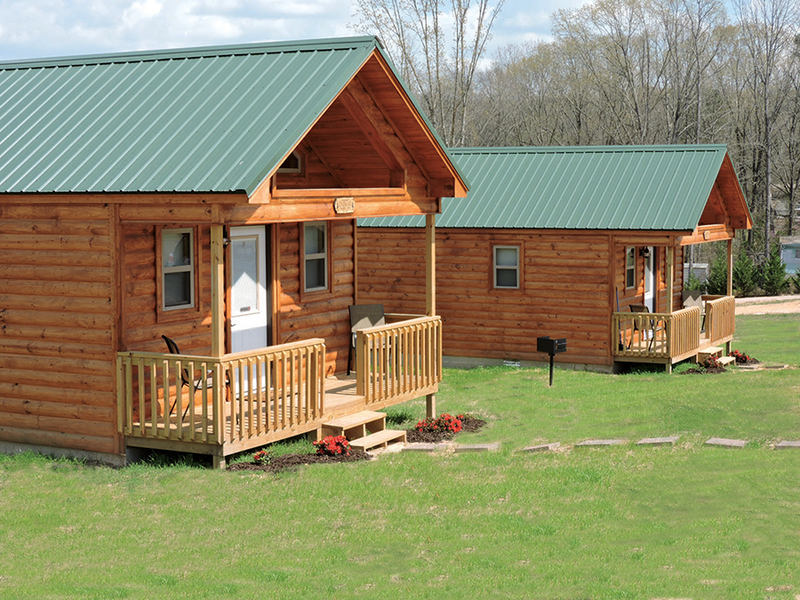 The cabins are 512 sq feet. They have a full size shower, full size refrigerator, convection/microwave oven, a two top induction burner and a mini-split heat and air system! Green and cozy! We are pet-friendly, just give me a call. 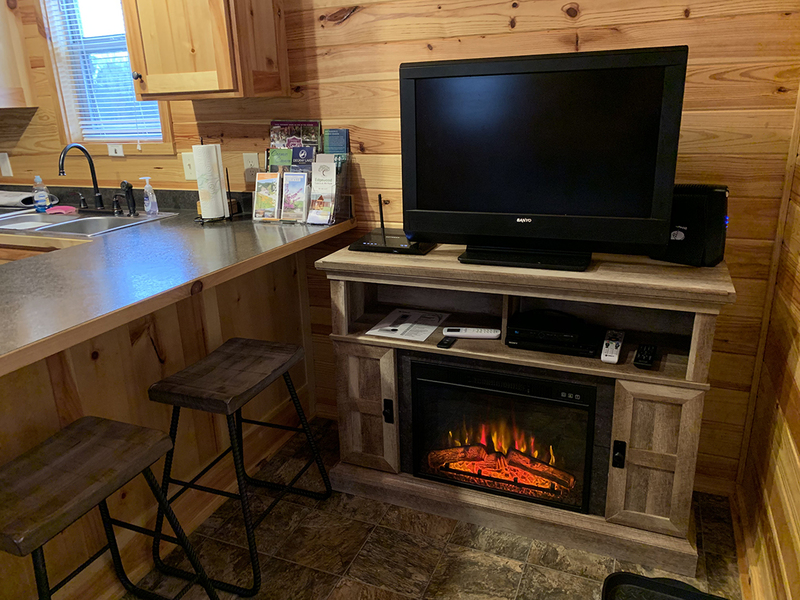 Our cabins have almsot everything you could need. We provide linens, cooking utensils, dishware, coffee maker, toaster, convection microwave, induction burner cooktop, full-sized refrigerator with icemaker. 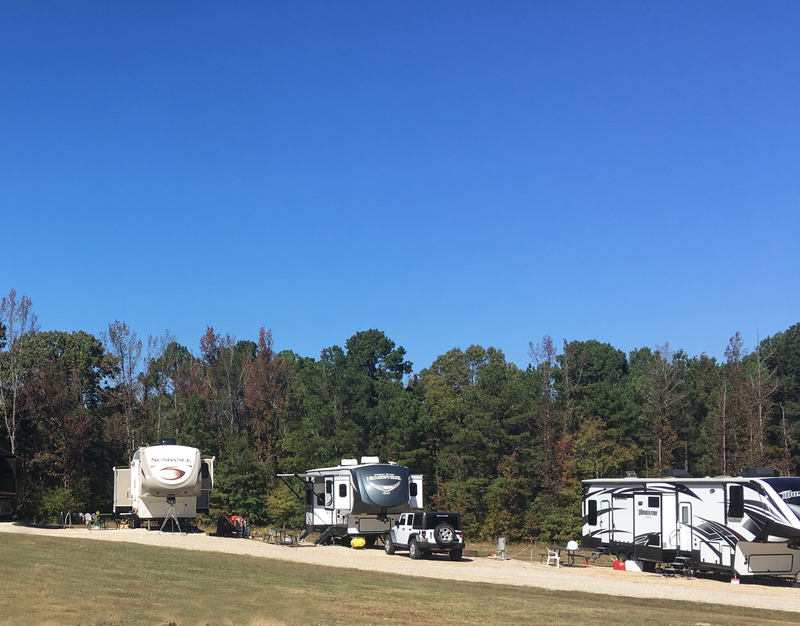 Edgewood RV Park has 6 full-size, level RV lots (roughly 60 ft deep) right next to DeGray Lake State Park in Bismarck, Arkansas. Close to Caddo Valley, Arkadelphia and just 30 minutes to Hot Springs. We have SB3 pads with septic, water and 20, 30 and 50 amp hookups on each. Wi-fi available with booster purchase. The lots are easy access back-in and the RV Park offers a rinse station on the way out. Come stay for a few days, week or months. Pet friendly resort area with lots to do with just a short drive. Currently we’re only taking monthly space rentals. Please call for availability.